Part of our Petey Penguin Collection! 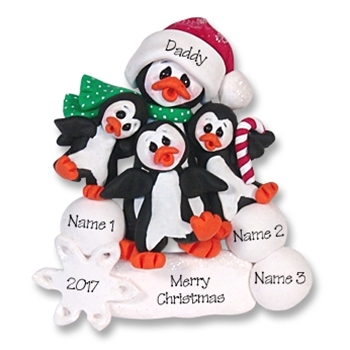 This ornament is perfect for any single parent, be it male or female, or any grandparent. Also great for a baby sitter! Mom or Dad, Grandma or Grandpa, get ready for Christmas as their 2 tots dance with excitement. As is the case with all of our ornaments, it is very detailed. Watch out! There may be a snowball fight!